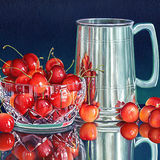 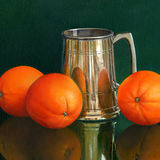 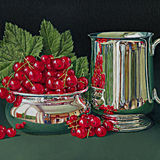 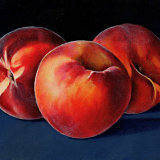 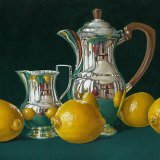 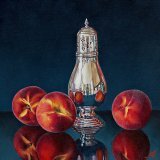 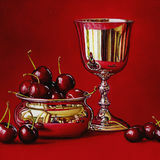 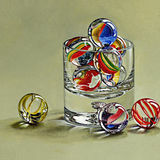 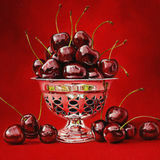 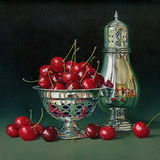 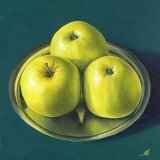 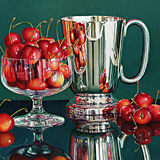 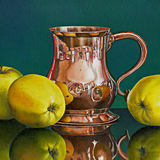 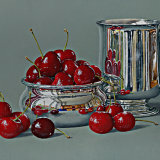 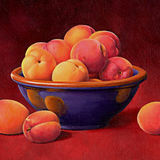 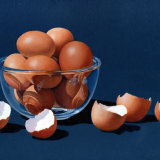 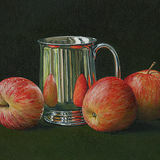 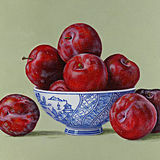 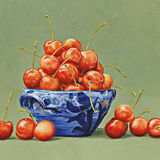 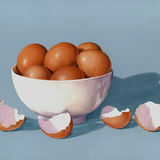 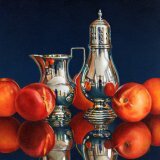 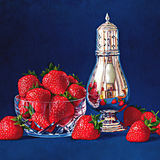 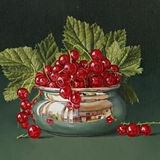 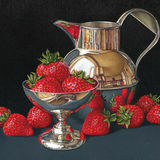 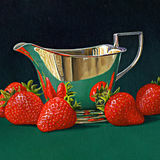 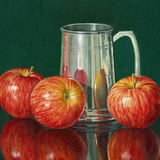 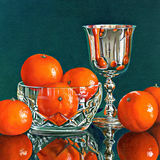 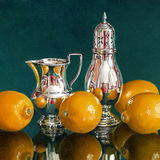 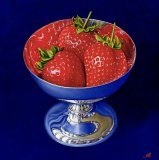 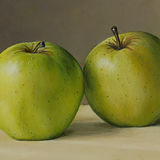 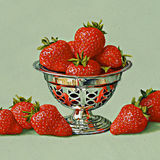 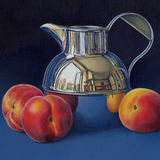 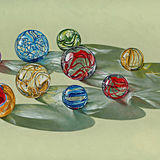 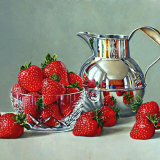 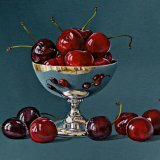 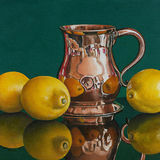 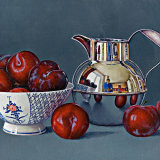 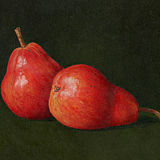 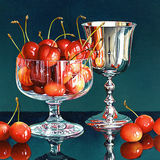 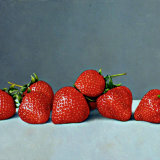 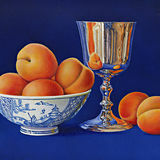 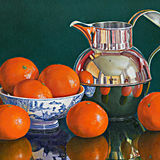 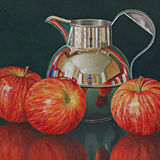 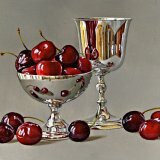 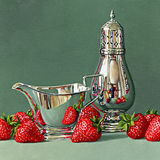 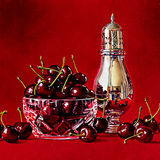 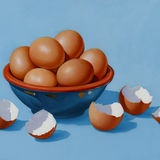 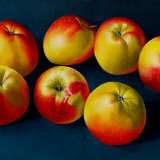 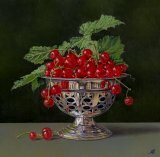 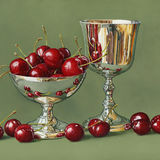 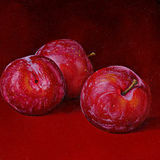 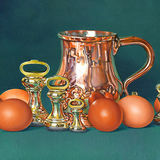 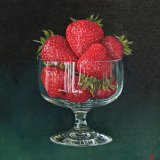 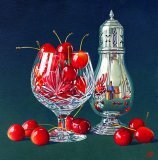 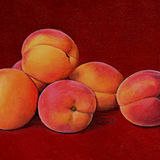 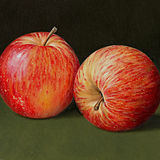 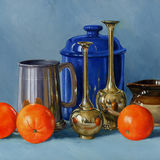 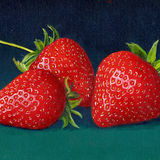 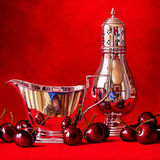 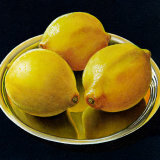 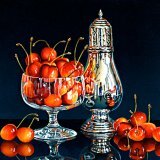 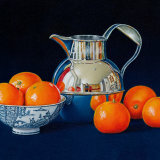 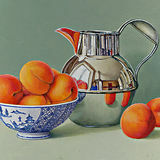 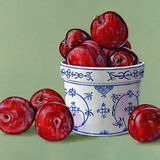 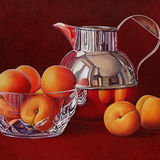 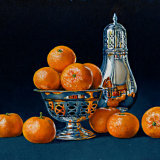 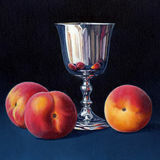 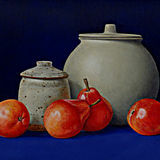 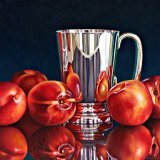 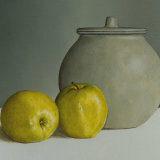 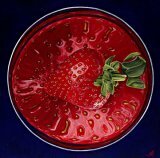 My still-life paintings often portray the subject life-size, sometimes even larger than life. 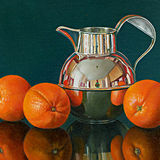 The luminosity of oil colour makes this my chosen medium, and the aim is realism in a modern style, not harking back to masters of the past, nor aiming to reproduce photography of the present. 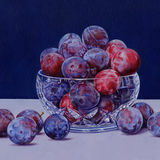 Instead, within the confines of two dimensions I try to make my pictures as colourful and fresh as life, and visually ready to jump out of the frame.